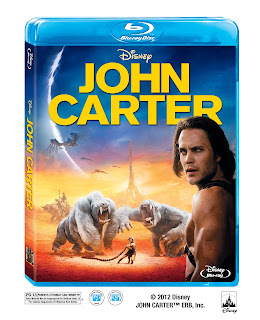 Wahm Connect : John Carter arrives on Disney DVD June 5th, 2012 just in Time for Father's Day! John Carter arrives on Disney DVD June 5th, 2012 just in Time for Father's Day! Trademarks JOHN CARTER, JCM Design, JOHN CARTER OF MARS, BARSOOM, and PRINCESS OF MARS, owned by Edgar Rice Burroughs, Inc. and used by permission.